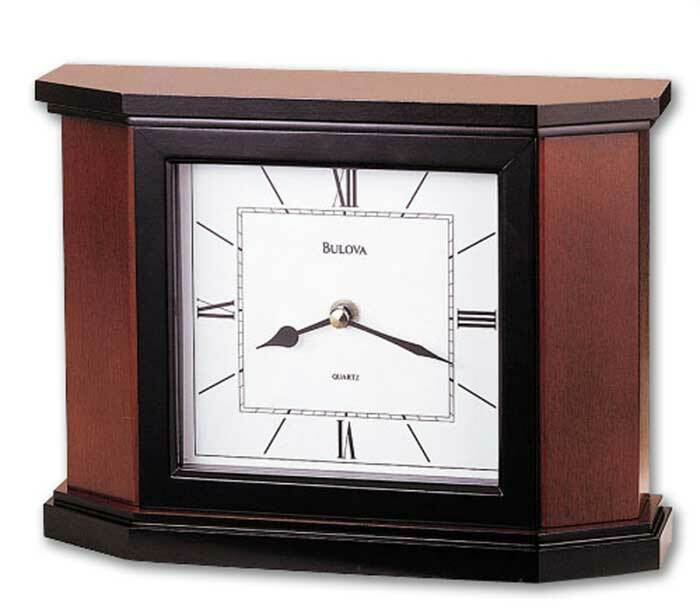 The Bulova B1881 Holyoke Mantel Clock has a distinguished Solid wood case with a cherry finish and Black accents. The square white face features black Roman Numerals at the 12, 3, 6, and 9 positions. There are modern dashes at the 1, 2, 4, 5, 7, 8, 10, and 11 positions. Behind a Protective glass lens, The modern style of the hands make it easy to read the clock from across the room. 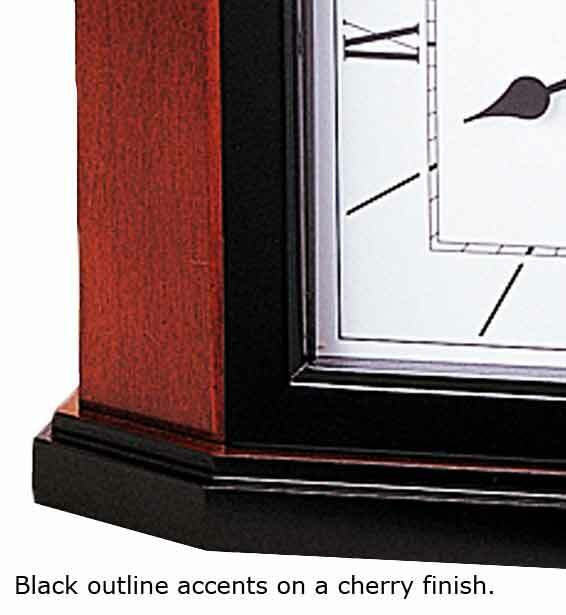 The Black accents that give this clock a truly modern look include the frame around the face of the clock and the sides of the top and bottom platforms. This clock has a finished black panel on the back that covers the movement. It has felt pads on the bottom of the clock to protect your desk or mantle top surfaces. This clock has an accurate Non-Chiming Quartz battery operated movement that requires 1 AA Battery which is included. 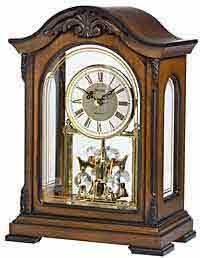 Size: Height 7.5", Width 10", Depth 2.75"
Clocks for sale at The Clock Depot including the B1881 at discount prices.